Gemini G.E.L. Sequence List. Los Angeles, California: Gemini G.E.L., unpublished, no. 1443. Axsom, Richard H., and David Platzker. 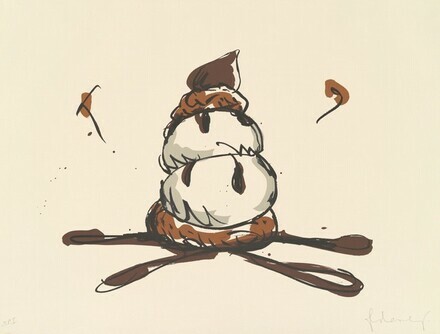 Printed Stuff: Prints, Posters, and Ephemera by Claes Oldenburg: A Catalogue Raisonné, 1958-1996. New York: Hudson Hills Press, 1997, p. 379, no. 217.